Professor Tracy, who was fired by his University is a frequent contributor to Global Research. His articles are incisive and carefully documented. Academic freedom is a fundamental principle, which has been blatantly violated by South Florida University. Global Research expresses its support for James Tracy. Adam Lanza was blamed for the December 14, 2012 Newtown, CT shootings, perhaps wrongfully. Florida Atlantic University (FAU) tenured Professor James Tracy questioned inconsistencies and anomalies in the official narrative – reinforced by the corporate media unwillingness to ask tough questions and demand clear answers. Tracy questioned whether any shootings took place – “at least in the way law enforcement authorities and the nation’s news media” described events, unquestionably reporting the official narrative. Contradictions abound. Key questions remain unanswered. How did one alleged gunman fire so many shots in so little time and supposedly inflict so many casualties? In five to seven minutes, Connecticut’s top coroner, Wayne Carver, and police officials said Lanza shot each victim from three to 11 times – 182 shots, one every 2 seconds plus likely misses. Yet the official narrative called him the sole gunman, a youth with no military training, using a 30-shot magazine in one weapon, having to reload over half a dozen times to have done the alleged shootings himself. (N)o visual evidence of Lanza’s violent entry” is available nor eyewitness testimonies, nor what’s typical in a crime scene’s aftermath – “broken glass, blasted security locks and doors, bullet casings and holes, bloodied walls and floors. 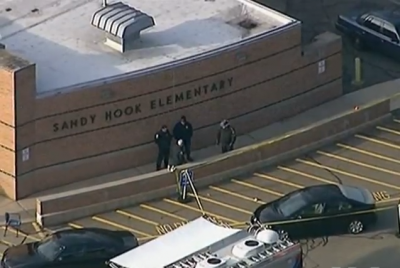 Sandy Hook Elementary has 600 students. No video or photographic evidence indicates any more than small numbers were evacuated. Key Sandy Hook questions remain unanswered. The initial narrative remains the official story. Tracy called it an “elaborate hoax” – excluding names, ages and genders of alleged victims. 3. “Drill protocols were” used instead. 4. “(F)oreknowledge of the event” existed. 6. No verifiable evidence indicates Adam Lanza’s responsibility for the shootings – after supposedly killing his mother, then taking his own life after the incident. 9. The crime scene was deliberately contaminated and destroyed, making it unusable for investigation. Plenty of evidence calls the official narrative into question. Tracy’s exhaustive work deserves high praise. “In accordance with the University’s Collective Bargaining Agreement with the United Faculty of Florida union, by which the University and James Tracy are bound, faculty who receive such notice are afforded a grievance process. James Tracy has 10 days to respond to the notice after which final action may be taken,” a statement said. His firing sends a message to other academics. Think twice before challenging the official narrative, especially on a headline-making story – calling it a hoax. It’s also another First Amendment body blow. In a geographically vast country where imagery and emotion reign supreme, where fact is often replaced by unsubstantiated claims and hearsay, the eventual result will likely involve mass fraud leading to a severe loss of our freedoms, perhaps eventual tyranny.